No sooner had I posted a birthday celebration for Valerie Hobson that news came of another screen Elizabeth. 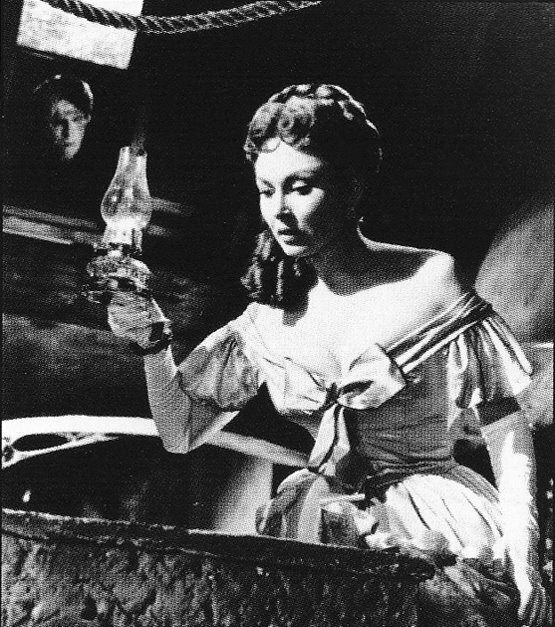 Hazel Court, the ingenuous fiancée to Peter Cushing’s cruel Frankenstein in The Curse of Frankenstein of 1957, passed away on April 15. An autobiography, Horror Queen, is due for publication on the 23rd. I am surprised how sad the news made me. I can’t believe how deep my heart sank. I realize now how important Hazel Court was to me. I remember how I sought out her pictures and how her presence elevated so many films that I loved. Her list of horror films is long and storied, with significant contributions made at Hammer Films of England and American International of Hollywood. 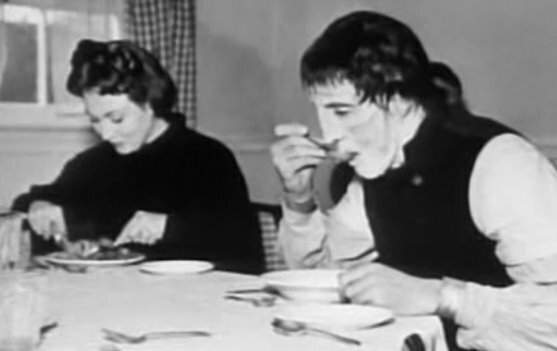 In the winter of 1956, Court joined Cushing, Christopher Lee, screenwriter Jimmy Sangster and director Terence Fisher at Hammer’s Bray Studios to make cinematic history, in the form of The Curse of Frankenstein. Court’s four-year old daughter, Sally Walsh, appeared briefly as a young Elizabeth. When the film went out around the world in the summer of ’57, despite being shredded as sadistic and repulsive by British critics, it was box-office gold, and the Hammer era of Gothic Horrors was launched. Hazel Court was ravishing, “a beauty among the beasts” as one reviewer put it. You couldn’t possibly miss her, of course. Imagine: A redhead with green eyes, and generous cleavage bound in Victorian corsets. She was tagged as a “Scream Queen”, and she did have to shriek off the threats of monsters and villains, but she was also one hell of an actress. When given a proper role, she could make it swing. Look at her beguiling turn in Roger Corman’s The Raven (1963) — see a YouTube clip here — and see how she holds her own in a scene with Boris Karloff, Vincent Price, Peter Lorre, and a desperately young Jack Nicholson. By the late sixties, Hazel Court was mostly working in American television, and then she walked away and went on to other things. Encouraged by her friend, art expert Vincent Price, she became an artist, another thing that made me connect with her. She was a painter first, then a sculptor of Italian marble. Admirably, Hazel Court was proud of her horror films, always willing to share her memories, and generous in her recollections of fellow actors and co-stars. That’s how I remember the unforgettable Hazel Court, in her bustled, off-the-shoulder dress, holding a gasoline lamp, unaware of The Monster lurking close behind. Hazel Court's autobiography, from Tomahawk Press. An obituary in The International Herald Tribune. Wonderful, touching posts about Hazel Court by Arbogast and Tim Lucas. The trailer for The Curse of Frankenstein. A recent interview with Hazel Court in a Lake Tahoe paper. An obituary at Cinefantastique Online. A rememberance by Tom Weaver on Fangoria.com. her death has made it onto all the internet news sites, which is a pleasant surprise to me. but a nice statement on how much she lingered in people's minds via her movies. I was lucky and honored enough to meet her a convention a few years ago. She was seated between Ingrid Pitt and Caroline Munro, which made for a wonderful triumvirate of Hammer heroines. Ms. Court was all too eager to discuss my favorite of her roles, in DOCTOR BLOOD'S COFFIN, doubtlessly burned out on rehashing her more famous roles alongside Vincent Price and Peter Cushing. Her reminisces of filming amidst the Cornwall scenery are ones I hold near and dear. I shall miss her.